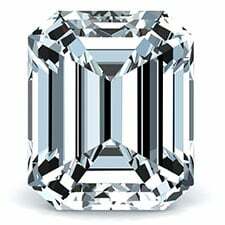 – This is the best of all cuts and is applied to only round diamonds. Expensive than the rest it is meant for people who don’t compromise on the finer things in life. 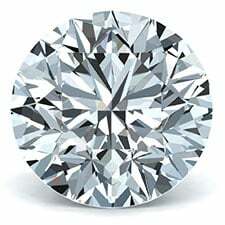 – A tad less expensive than the Ideal cut, the premium cut diamonds allows you to buy a bigger diamond at the same cost offering almost the same brilliance and fire as ideal cut. – Moderately priced amongst all the grades, these diamonds reflect most of the light that enters them, creating a good amount of brilliance. 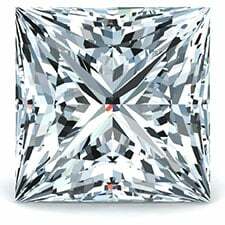 While cutting these diamonds, the cutter opts to stray a little from the ideal diamond proportions to create a larger diamond. The effect is less briiliance than the above two grades of cuts but a larger size. 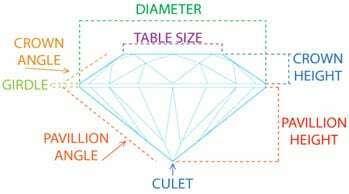 – Instead of cutting the extra weight off from the original crystal to create a smaller premium quality diamond, the cutter opts to maximize the area of diamond. 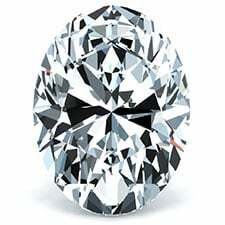 Excellent choice for people who want to save on the cost of purchasing a diamond without compromising much on the quality. 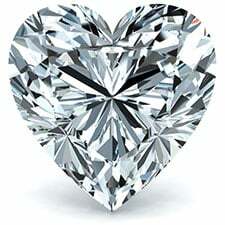 – This grade refers to diamonds which reflect only a small amount of light that enters through them. 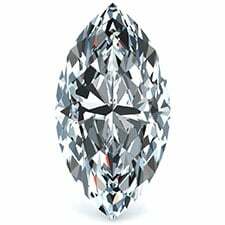 Ideal for people who are on a shoe string budget and yet want a bigger sized diamond.